Want to know a secret? 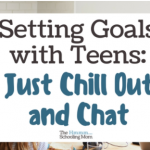 Goal setting and creating significant changes in your life does not have to involve some boring lists of measurables and deadlines. And we all know when “later” is in this sense. It’s never! We’ve all heard the expression “A goal without a deadline is just a dream.” But sometimes dreaming is what we really need to see a clear path to our destination. And that’s what vision boards are. Dreaming. Vision boards give you the creativity to let your dreams grow. 05/04/18 – register for the ACT. 10/31/18 – finalize college application. You see, most goal-setting programs focus on the intended outcome. What is the result you want? And while that’s perfect for a business plan, it’s really not the best way to keep you inspired and motivated day in and day out. For that you need to know how achieving your goals will make you feel. And that’s the real power of a vision board. The most basic definition of a vision board is just this: It’s a collection of images, quotes, and symbols that are meaningful to you and which bring out feelings of joy, peace, love, and happiness. They represent your dream life. For example, if world travel is one of your goals, you might include photos of historic landmarks you want to visit, or airplanes or ships (imagine the feeling of freedom associated with those). If you dream of retiring young, then a photo of you and your family relaxing on the beach will serve as a happy reminder of what life will be like when you no longer have to work. Motivational messages. You’ve seen those motivational posters that say things such as, “Challenge: Always blaze the trail; never follow the path.” For some people, these messages can be compelling. When you face a rough patch, merely remembering that phrase can be enough to get you fighting again. Your vision board might include messages you see posted on social media, phrases you read and jot down in your journal, or kind things others have said about you. Inspiring quotes. Inspiration is different for everyone. For some, the most significant source of inspiration is the Bible. For others, words of encouragement from industry leaders or historical figures are uplifting. You can have fun with these, too. Maybe your best inspiration comes from the notes inside a Dove candy bar or a fortune cookie. Whatever makes you smile or brightens your day is a good fit for your vision board. Everything else. What else inspires or motivates you? The blue ribbon your grandmother’s quilt won at the state fair? A small vial of sand from that secluded beach you’ll retire to someday? Your daughter’s baby shoes? Vision boards can include these treasures as well; you just might have to be a little creative when it comes to adding them. We’ll talk about the materials for creating a vision board in a later section. But first, let’s look at the reality of how vision boards can change your life. If you spend all your time worrying about money, it seems to slip right through your fingers. If you obsess over your weight, the pounds stubbornly hold on. And if you daydream about relaxing in the Caribbean sun, well, you’re a lot more likely to find yourself on a beach chair shortly. This isn’t some airy-fairy make-believe, either. We’ve known for decades that daydreams have power, and that purposeful visualization is the key to higher success in every area of life. Top athletes practice endlessly, not only on the field but in their minds. They see that perfect shot, winning the race, or stunning backflip. They concentrate on the minute movements that make it possible, how their muscles will react every second, and how they will feel at the end of a stellar performance. This type of visualization creates neural pathways that are virtually indistinguishable from those caused by completing the act itself. It works the same way for you. When you visualize your ideal work environment, your happy home life, your dream vacation, and even your biggest income goals, you’re primed to achieve them. Like anything though, effective visualization takes practice. As kids, we spend much of our time daydreaming and playacting, but those are skills we lose as we age. 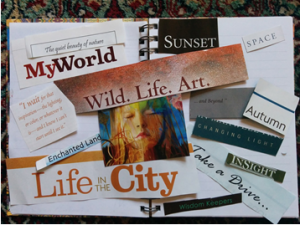 A vision board can help kick-start those creative visualization skills again. Here’s another benefit of creating a vision board: It will boost your spirits when you face life’s inevitable struggles. Having a bad day? Spend some time working on your vision board, and you’ll feel noticeably lighter at heart.